Here you’ll find some information regarding compatibility of Troi Plug-ins with FileMaker Cloud. 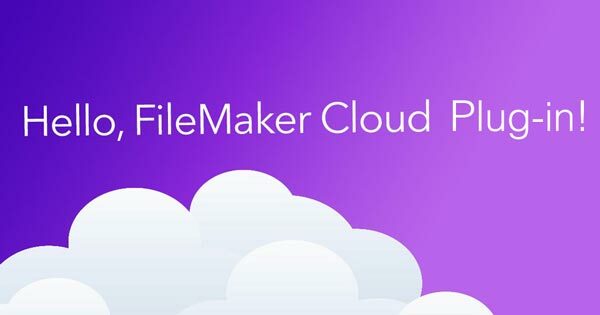 FileMaker Cloud is the cloud platform of FileMaker Inc. FileMaker Cloud supports installing FileMaker plug-ins so they run as part of FileMaker Cloud. This will enable you to make use of the extra functionality plug-ins offer! Updated text manipulation plug-in for FileMaker Pro 15 adds compatibility with FileMaker Cloud. Installing our plug-ins with FileMaker Pro or FileMaker Pro Advanced is very easy: just open the “All <plug‑in name> Examples.fmp12” example file from the download and the startup script in this file will install the plug-in for you. In all downloads you will also find the example file “EasyInstallTroiPlugins.fmp12” which contains the actual plug-in and install script.